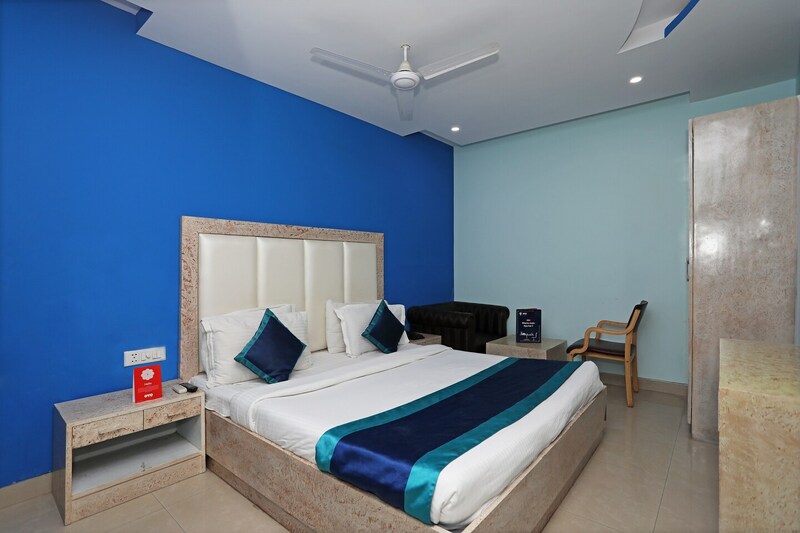 Hotel The RTS is a well-decorated hotel located in Block B of Mahipalpur in South Delhi. The hotel is close to the Delhi-Ajmer Expressway, Indira Gandhi International Airport, Aerocity Metro Station, Shiv Murthi, and Rose Garden. The color combination of the room interiors is soothing and perfectly complements the wooden furnishings. AC, TV, room heater, geyser, and free Wi-Fi are the amenities offered in the rooms. Other services provided by the hotel include power backup, parking facility, living room, elevator, in-house restaurant, and CCTV surveillance. Some popular restaurants like Bella Italia, Republic Of Noodles, Delhi Baking Company, JW Lounge, and K3 are located near to the hotel.